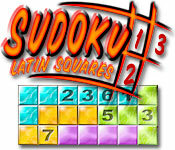 Use logic and reason to play the classic Japanese puzzle game of Sudoku for free. Try before you buy! Get in on the sublime number puzzle that has the whole world playing.